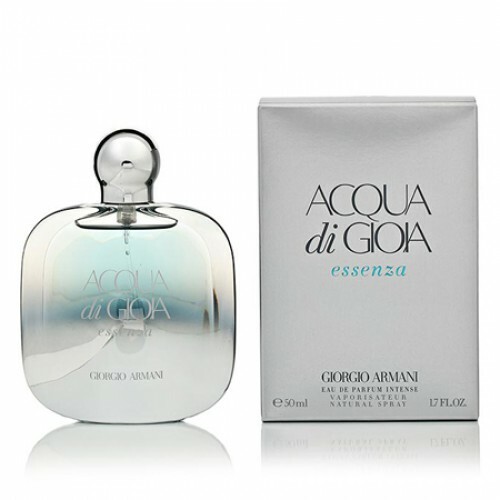 Giorgio Armani Acqua Di Gioia Essenza is the best choice for relaxation. Acqua di Gioia Essenza by Giorgio Armani 100ml. Eau De Parfum is a fresh spicy-woody fragrance with subtle accents of flowers. For women who love free moments of rest and relaxation. Recover the spark energy of the strongest natural element water. Perfume Acqua di Gioia Essenza is the best choice for relaxation of body and mind. Strong waves and gentle breeze brings crystal clear nectar from the deep waters of the world's most beautiful. Fragrance from Giorgio Armani has the unique ability to blend with the calm feminine soul and perfectly underline its beauty. Light notes of hazel wood, velvet and smooth cashmere sweet sugar will make you forget the worries of everyday life and bring longed-for rest. The heart of the perfume can be found seductively elegant jasmine scent that adds sparkle to a specific femininity. Unconventional composition of lemon, pink pepper and mint enhances the whole experience fresh and will last you a long time to enjoy comfortably. Best Italian designer of all time, Giorgio Armani, put their legendary luxury and style well into their perfumes. Offering extravagant oriental floral scent, fresh natural tones and light fruity variations. The offer is really wide. The ultimate experience of Giorgio Armani perfume is enhanced remarkably well designed bottles. Bask in the warm rays of the glory of this elegant Italian brand. The perfume Giorgio Armani Acqua di Gioia Essenza will experience great moments of rest and relaxation at the heart of unspoilt nature and become always fresh and landscaped woman!